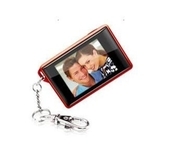 The Coby DP180 digital photo keychain features 1.8-inch full-color LCD display. 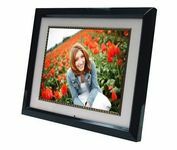 The unit can store upto 60 pictures and support JPEG, GIF and BMP image formats. 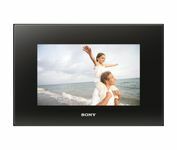 The Coby DP-240 is a 2.4" Portable Digital Photo Album with MP3 Player. 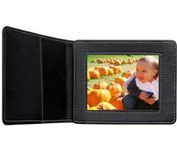 This portable digital photo album with attractive leather cover has 2.4" TFT LCD color display. The integrated 1GB flash memory stores over 400 pictures. 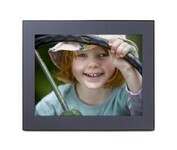 It displays JPEG image files & plays MP3 and WMA audio files.